For many transgender people, finding supportive medical care can be difficult, requiring one to travel for hours, rely on often-outdated information or even turn to less-than-legal means to get aid. 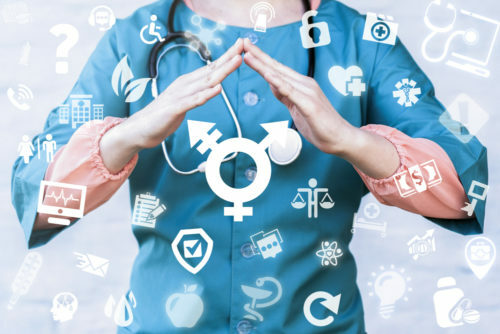 The DC Area Transmasculine Society (DCATS) is trying to change things for the better, putting together an online database where trans people can recommend care providers in their local area. The project, launched in conjunction with last year’s Transgender Day of Remembrance, is called the Trans Wellness Information Network, or TransWIN, and it provides an online database of care providers from surgeons to hairstylists willing and able to provide quality care to their transgender clients. TransWIN allows anyone to add to the database, much like any online review site. What makes this one stand out however is that every provider recommended to the database is verified by group members in an effort to weed out bad actors and keep the database up-to-date. TransWIN seeks out local providers, asking them to fill out a questionnaire on their services, then scoring the providers based on their responses. Questions include ones regarding a providers’ adherence to the World Professional Association for Transgender Health (WPATH) Standards of Care, whether a facility offers appropriate restroom facilities, and if staff has been trained to best support trans patients or clients. The only downside to TransWIN is its reach. While it is rightfully focused on the DC area, finding information on providers beyond that area is limited. For example, their database only has two listings in California at this time. DCATS has recently brought in a new team to support TransWIN, and is actively pushing for more recommendations and reviews of providers in the TransWIN database. DCATS was founded in the late 1990s as a monthly support group in the DC area. While it retains its primary focus on transmasculine people, DCATS has expanded to support the full spectrum of gender identities, sexual identities and gender expressions. Beyond TransWIN and a slate of social events and support meetings, DCATS also offer binder and syringe exchanges and other services.